Gather round the fire for these fun feline tales! 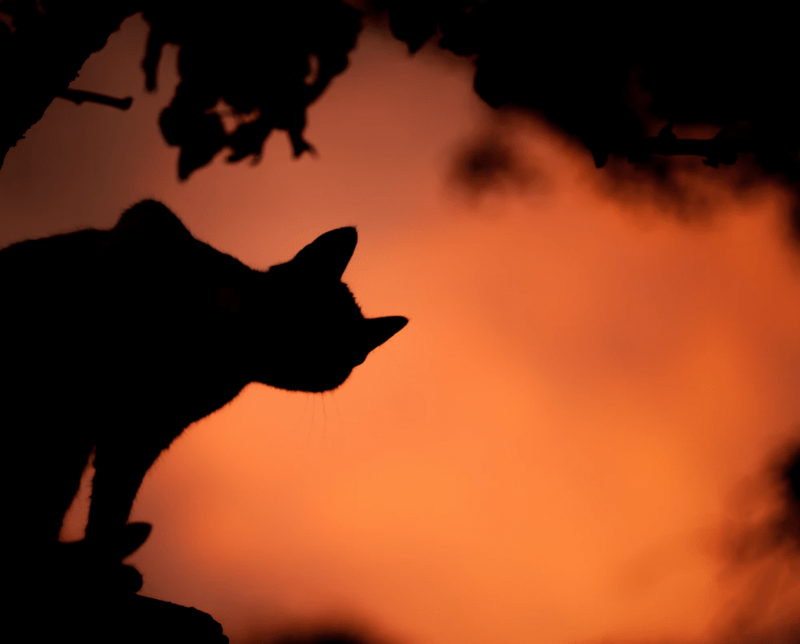 During this spooky and superstitious time of year, most stories involving cats depict them as evil omens or the eerie companions of witches. Rather than dwell on the typical bad-luck black cat stereotype, The Cat Clinic at Cherry Hill has gathered up a few legends that paint our four-legged friends in a less villainous light. Buddhist belief: A sect of Buddhism once practiced in former kingdoms of Siam and Burma believed that when you die (if you were holy enough), your soul is placed in a cat for safekeeping. Later, when the cat passes away, that soul ascends to paradise. This sect of Buddhism reveres cats as a result and often has depictions of them sleeping at the feet of statues of Buddha. In Thailand (once Siam), they still observe a ritual of presenting a live (Siamese) cat adorned in gold jewelry to each new Thai king during his coronation. It is thought that the spirit of the old king can witness the new king’s coronation through the cat’s eyes. English belief: It was once believed that cats were able to predict the weather—by observing your resident feline’s behavior, you could get some clues on the daily forecast! Clawing at carpets or curtains signaled windy weather ahead. A rigorous grooming of the ears meant rain was on the way—as did staring out the window or sleeping with all four paws tucked under his or her body. The Welsh believed that when a cat’s pupils expanded, a storm was approaching. Scandinavian belief: Referring to Norwegian Forest Cats in particular, people believed these felines were the favorite animals of Freyja, the goddess of love and fertility. Giving a black cat to newlyweds was considered good luck, and farmers who hoped for bountiful harvests would leave dishes of milk outside for the fortuitous felines. We can’t be sure that actually helped their harvest, but there’s no doubt it solved any mouse infestations in the farmers’ barns! “We are so glad to have found Dr. McCauley and everyone at the Cat Clinic. Our four kitties are much less stressed during and after their visits. All of our questions and concerns are answered with patience and good humor, and we learn what we need to do to keep our kitties healthy for many years yet to come. We are from Philly and are happy to cross the bridge to Cherry Hill it is worth it. Thanks guys.” – Nellie J. Give us a call at (856) 662-2662 if you’d like to set up an appointment for your cat! Or, check out where we are located and visit us at the office. We’d be happy to meet you and your furry family member!